In Jesse Ventura’s Marijuana Manifesto, former Minnesota Governor teamed up with Jen Hobbs to explain why it’s time to fully legalize cannabis and end the War on Drugs. Through their research, it became clear that hemp needed its own manifesto. 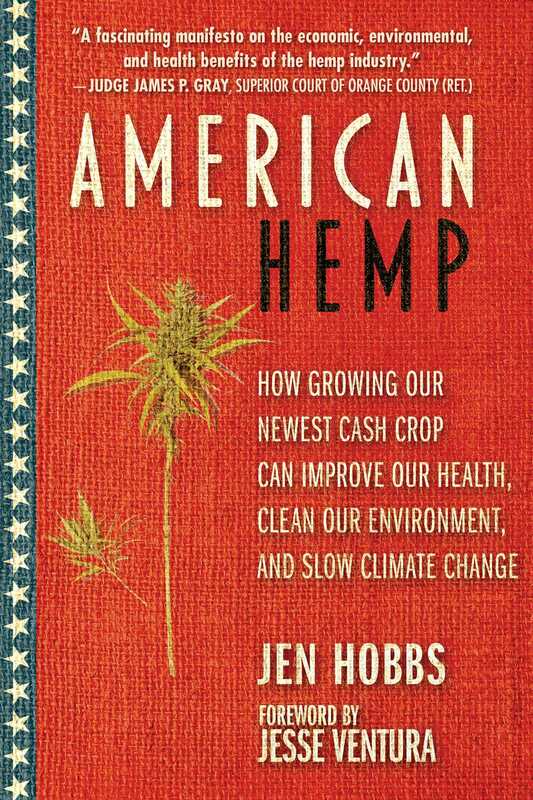 Jen Hobbs takes up this torch in American Hemp. Filled with catchall research, American Hemp examines what this new domestic crop can be used for, what makes it a superior product, and what made it illegal in the first place; the book also delves into the many health and medical benefits of the plant. Hobbs weighs in on how hemp can improve existing industries, from farming to energy to 3D printing, plus how it can make a serious impact on climate change by removing toxins from the soil and by decreasing our dependence on plastics and fossil fuels. Jen Hobbs has been a publicity consultant for the greater part of her career, representing Oscar and Emmy award-winning clients as well as politicians and authors. She has worked behind-the-scenes with Jesse Ventura since 2007 and shares his enthusiasm for searching for the truth, no matter where it leads. In 2016, she co-authored Jesse Ventura’s Marijuana Manifesto, which inspired the content for this book. After visiting and living in several states and countries, Hobbs now resides in O’Fallon, Missouri with her husband, Andrew, and daughter, McKayla, and currently employs her artistic talents through her art and custom jewelry company Hobbs Superior Handmade Supply.